Two nights ago it was actually nice enough out to eat dinner outside. Yes, you read that right, Phoenix wasn’t miserably hot for a night! And it got me thinking, Fall justttt might be right around the corner. I freakin’ love Fall, for many reasons, but one is the fashion. 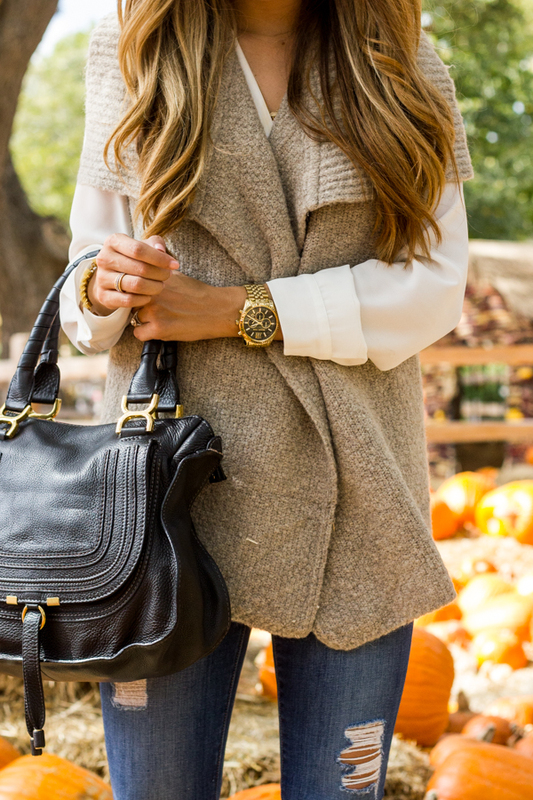 Fall is all about layering, warm colors, chunky sweaters, etc. and I love everything about it. Now don’t get me wrong, I do get fully dressed some days, but most days I am in some sort of workout clothes, comfy clothes, or basics like jeans and a tee. Obviously pregnancy has taken my effort of dressing cute down a lot, esp. since I barely have things that fit these days- but I have high hopes. But then I think to myself, what is the reality of it? I have tons of cute clothes, and yet I almost always reach for comfy and easy. And I don’t even get why, since almost all of my clothes are comfy in general. So why don’t I spend the extra two minutes and put together something cute rather than just yoga pants and a tee?! Heres my question: for all you mamas- esp. ones that do wear more than the ‘mom uniform’, what motivates you best to spend those extra two minutes? 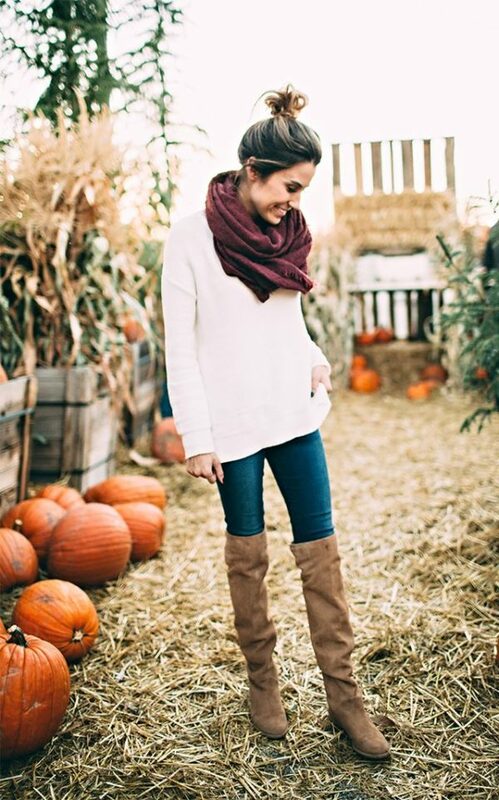 Or what are your Fall staples that make throwing together a cute outfit super easy? You inspired me to order a new pair of black booties! I wear dresses everyday. It’s one piece to put together instead of two, it’s more comfortable and less constricting than any kind of pants (even leggings!) and it immediately elevates you to a new level of dressy-ness/put-together-ness wothout any extra thought or consideration. I bought a darling pair of booties at Marshalls that even takes some of my summer dresses into fall. I don’t go expensive – old navy, target, Marshalls but they all have great finds. And aside from the occasional time my 2yr old has stuck her arms up them in public (?!?!! ), they’re totally doable with kids (as long as they’re not super short so you can still bend over easily). but if I had two kids and soon to be a third, I would prob spend my fall in my husband’s sweats and tshirts and use any extra energy dressing my daughter in cute dresses instead 😉 you’re a rockstar! haha i love this! and heck yes to dresses!!!!!! and booties! oh gosh i cant wait for it to be cool enough outside for those things!